One Webster, located in Chelsea, Massachusetts, is the epitome of luxury apartment living, offering studios, one, and two-bedroom apartment homes. Our community is conveniently situated just minutes from the best dining, shopping and nightlife that Boston has to offer. We are a sister city to Boston, being just ten minutes away, so if you are looking for apartments near Boston, we are a perfect choice! One Webster is located between Route 1A and Route 1 North. We are near the intersection of Eastern Avenue and Webster Avenue, running just off Broadway. We are centrally located with easy access to all major routes leading to Boston, New Hampshire, Cape Cod, Maine, and the beaches. We are two miles away from the Mystic Mall and the Marina at Admirals Hills is also a short ride away. Our Walkscore is rated 76, which means most errands can be accomplished on foot and there are many nearby transportation options. The Silver Line 3 is just one block away and within walking distance from One Webster. The station nearest our Chelsea apartments is the Eastern Avenue Station. Our community is right across the street from Frank M. Sokolowski Elementary School. There are several other elementary, middle, and high schools in the area. Bunker Hill Community College is within a 15-minute commute. At One Webster, each of our residents receives VIP treatment with access to our 24-hour fitness center, Wi-Fi lounge, and resort-style pool. In addition, we have an onsite childcare facility available for families. 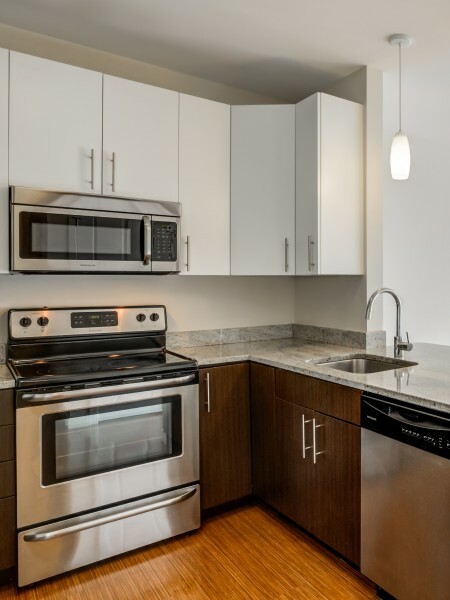 Our one and two-bedroom floorplan Chelsea apartment homes are fully equipped with every modern convenience, including hardwood floors, sprawling walk-in closets (in select units), gourmet style kitchens, and granite countertops. We have studios, one, and two-bedroom apartment homes. The floorplans range in size between 590 square feet and 970 square feet. The building has a parking garage in which you can reserve a space at an additional monthly fee. 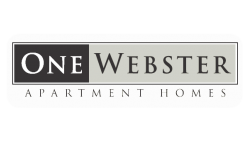 Come visit One Webster today to see what we have to offer! $300 deposit and $50/cat and $100/dog pet rent. Dogs limited to 1st and 2nd floor.